Keep reading to see how you can win a copy of this book! Taylor Dean lives in Texas and is the mother of four grown children. 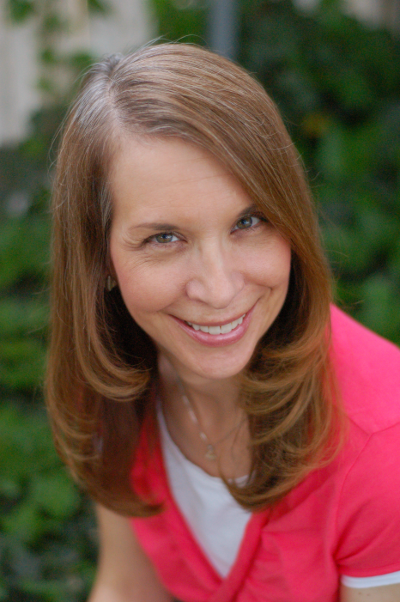 Upon finding herself with an empty nest, she began to write the stories that were always wandering around in her head, quickly finding that she had a passion for writing, specifically romance. Whether it’s paranormal, contemporary, or suspense—you’ll find all sub-genres of clean romance in her line-up. It was the moment when I finally let my sister read the first draft of my novel, Sierra. Up till then, I figured I was just playing around, writing for my own enjoyment. Only one other person had read the manuscript and no one knew I was writing. It was my best kept secret—my guilty pleasure. I was a nervous wreck, assuming she was going to hate it. She didn’t. She loved it, in fact, she stayed up ALL NIGHT to finish it because she couldn’t put it down. It was the thrill of a lifetime for me. 2. What inspired you to write For Nick? For Nick is my only novel that I feel a little baffled over when someone asks me this question, mostly because if I share too much, it will ruin the story for others. I can also tell you that part of my inspiration came from wanting to write a tear jerker. I love a story that makes me cry. I’m not talking about a story that makes me depressed, but one that brings out my emotions. I love anything that evokes great emotion in me. My daughters and I will bawl like babies while watching a touching movie and then pronounce how good it was, leaving the men in our lives baffled and rolling their eyes! Firstly, the confrontation scene between Zach and Andie. There’s so much raw emotion in that scene. For me, the best moment when writing a book is when the groundwork has been laid, and secrets can be revealed. Second, the ending. It cracks me up. I don’t consider myself to be very funny, but the ending of For Nick leaves me rolling. Of course, there is a whole other aspect to the writing of this book that I LOVED, but if I share it, again, it will ruin the book for others and I hate spoilers! 4. I realize you just released two books back to back, but are you working on another book right now? I’m just about to begin writing my next book, currently entitled, I’m With You. I’ve found a cover image I love, hashed out all of the details, rehearsed the story to my hubby umpteen times, and I’m really excited to get to work on it. So, why the heck did I publish two books back to back? When I made the decision to self-publish, I had six competed novels ready to go. I decided to publish one book every three months. I was late publishing Joshua’s Folly, and on time publishing For Nick, hence they came out back to back. I won’t do that again! But too many people were waiting for For Nick and I couldn’t disappoint them by delaying publication. From here on out, my goal is to publish one book every six months. One every three months is too much for me. Book promotion takes up a lot of time. Also, sometimes I think a book is ready to go, but when I go back and read it one more time before publishing, I realize it isn’t ready. Among other things, that’s what happened with Joshua’s Folly. I can’t release a book unless I feel it is ready to see the light of day! 5. What are some of your favorite books and what book are you reading now? My favorite book of all time is Bid Time Return by Richard Matheson. It is the book that the movie, Somewhere in Time, was based upon. I’m currently reading Chasing Amanda by Melissa Foster. I haven’t read any of her books before and thought I’d give her a try. 7. If you couldn’t be an author, what would your ideal career be? I would love to be a pre-school teacher. First and foremost, DON’T GIVE UP! THANK YOU for giving my books a try! I absolutely love Taylor Dean and she is generously offering to give away to two US winners a signed paperback copy of For Nick, a tote bag and two bookmarks. 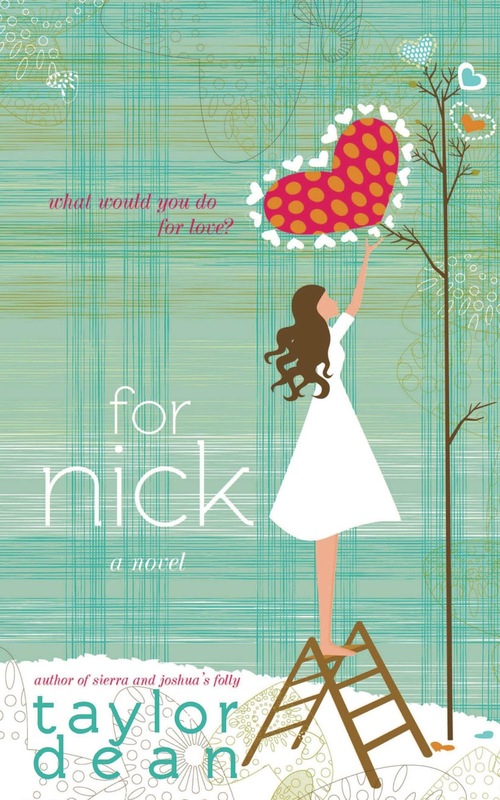 For two International or US winners, she is also going to give away an ebook of For Nick (Kindle only). So, enter one or both of the giveaways below! Thank you for the lovely review, Melanie! I love it! 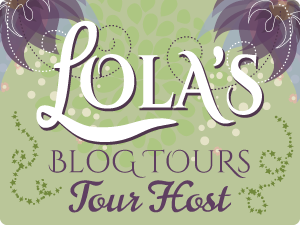 And thank you for the opportunity to be featured on your blog today and for letting me do a giveaway for your followers. Much appreciated! What a lovely review Mel, she sounds like a gal after my own heart. Oooh, love your review! I'm a sucker for make-me-cry books. I definitely got to squeeze this book in between committed reviews. You're welcome, Taylor! Thanks again for your generosity! Jinky, I snuck it in and am glad I did!